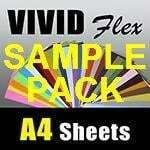 A4 Vivid Flex Sample Pack. 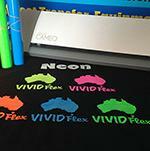 Consists of 1 Standard, 1 Metallic, 1 Flock and 1 Glitter A4 sheets plus a colour swatch of all colours available. 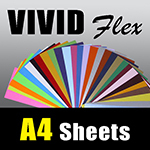 A4 sheet of Avery 500 adhesive vinyl and app tape plus colour swatch. 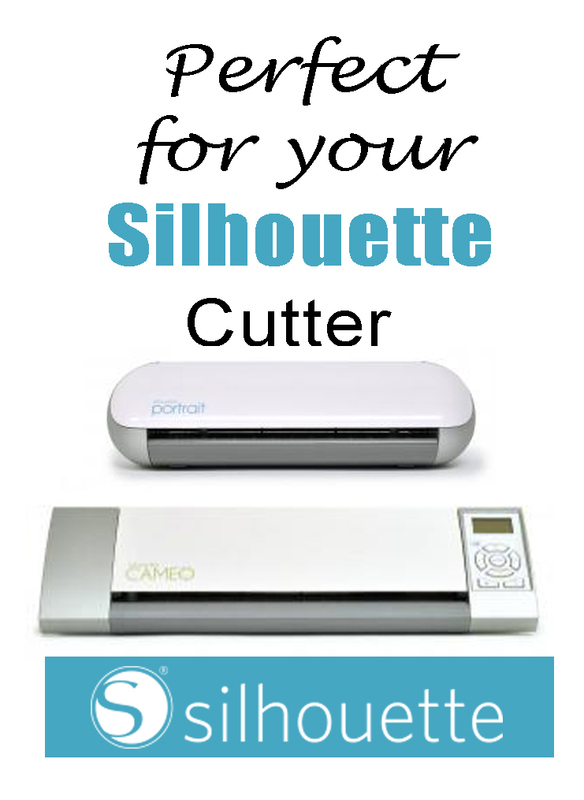 Limit 1 per customer and free shipping only applies for the sample pack only, if other products are added shipping will need to be calculated and added to the order. White, black, pink, light blue, green, yellow, orange, navy, dark khaki, red, royal blue, purple, gold and silver. Glitter silver, glitter gold, glitter black, glitter red, glitter green, glitter rose pink, glitter emerald green, glitter blue, glitter purple,glitter sapphire blue, glitter jade green and glitter light green. Metallic Gold and Metallic Silver. 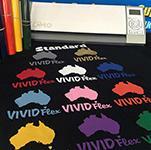 Flock colours: black, white, red, royal blue, green and yellow.